As the holiday season kicks off, residents at 223 Park Slope have begun moving in. The building recently received a temporary certificate of occupancy for floors 2 through 8, and floors 9 through 13 are expected to be granted occupancy next month. 223 Park Slope was built by Greystone and designed by Daniel Goldner Architects. The building stands a full 13-stories and houses spacious studio, one- and two-bedroom residences. Several duplex units are also currently available. 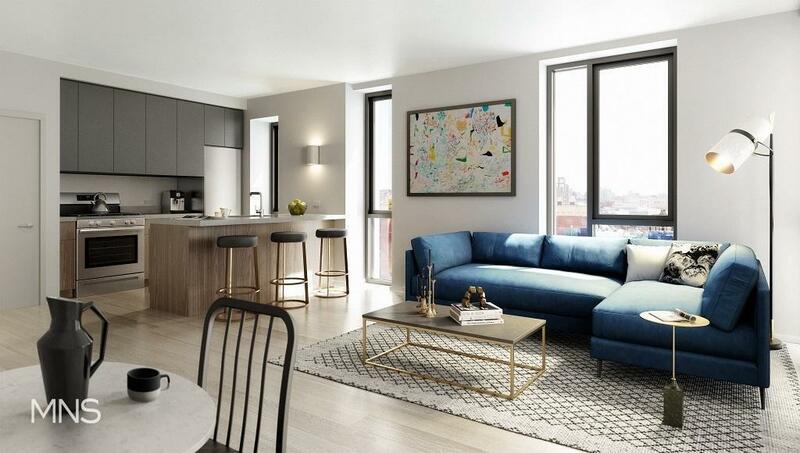 The modern-style residences feature open floorplans, a full range of stainless steel appliances, including a dishwasher and in-unit washer and dryer, and offer plenty of room for working professionals and growing families alike. Oversized windows flood the units with warm, natural light, making every space feel bright and airy. 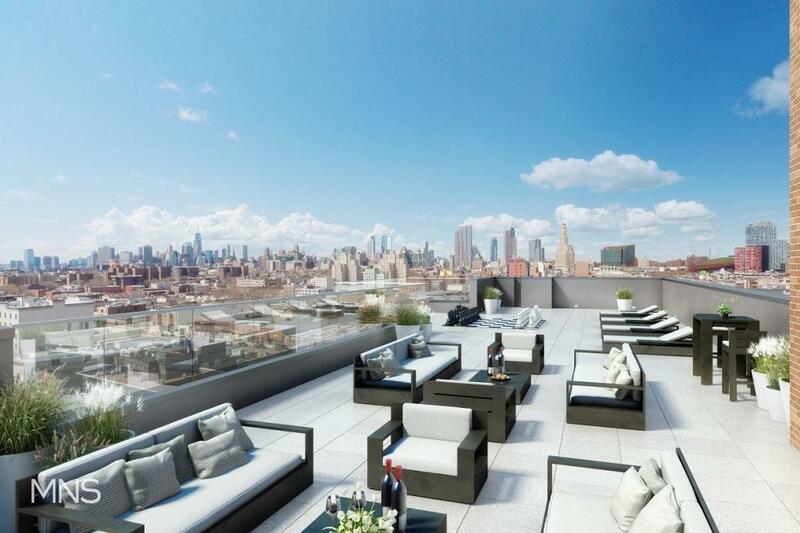 223 Park Slope’s notable amenities include a charming landscaped roof terrace that offers picturesque views of the iconic Brooklyn skyline. The relaxing residents’ lounge provides the perfect spot to unwind after a long day at the office. Co-working spaces make working from home a breeze, and residents have access to a fully-loaded media room. Bike storage is also available and 223 Park Slope has a virtual doorman to efficiently handle visitors and deliveries. 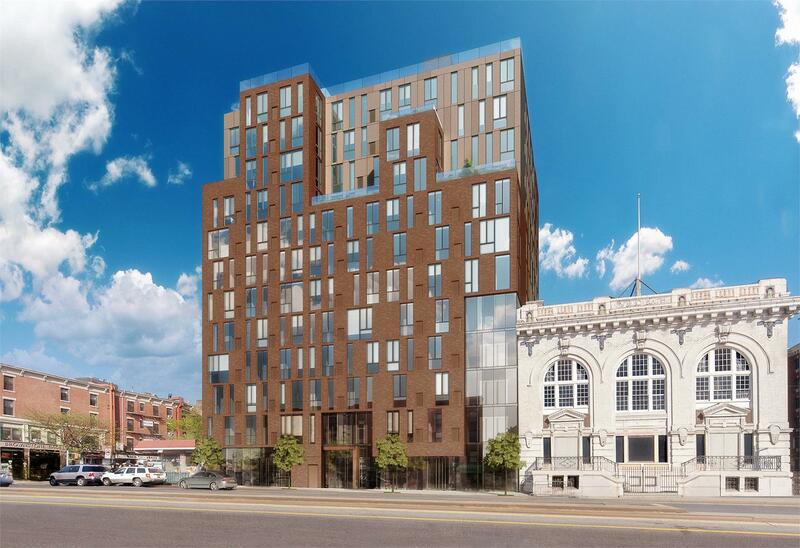 Construction on 223 Park Slope is expected to be completed in December 2018. Open houses run Tuesday to Thursday from 5pm to 7pm and from noon until 2pm on weekends. Leases for available units range in price from $2,521 to $4,500. MNS is the official leasing agent. Click here to visit the official site, or call 646 781 8365 to arrange a private viewing. Don’t miss your opportunity to live in one of Brooklyn’s most enchanting neighborhoods.